In accordance with the Constitution of the Republic of Latvia, state sovereign power belongs to the Latvian Nation. One of the ways residents can use this power is organizing free and democratic elections. 13th Saeima elections will take place in Latvia 6 October 2018. During elections, residents will elect their political course for the next four years. Looking back at the past, Latvia’s election system has experienced a number of changes, as noted by representatives of Central Election Commission. Over the course of this period of time, Latvia has transitioned from the majority voting system used by Soviet Latvian Socialist Republic towards a proportional voting system used by the Republic of Latvia in the 20s and 30s of the 20th century. Since the restoration of independence, Latvia has had seven parliamentary elections – in 1993, 1995, 1998, 2002, 2006, 2010 and 2014, as well as one extraordinary parliamentary election in 2011. Latvia has also experienced seven municipal elections – in 1994, 1997, 2001, 2005, 2009, 2013 and 2017. In 1993, after a break of nearly sixty two years, Latvia held the first democratic parliamentary elections. 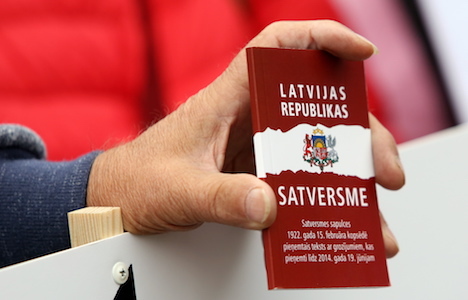 Latvia now has a multi-party system; laws that govern the election process have been restored. More or less significant changes in the system have affected all aspects of the election process – voting rights, candidate list submission and registration, candidates’ rights and restrictions, election procedures, calculation of results, composition of election committee members and appeal procedures. On 12 June 2004, shortly after joining the European Union, Latvia held European Parliament election for the first time. Latvian voters also participated in EP elections in 2009 and 2014. The next European Parliament elections will take place in Latvia next year – 25 May 2019.